Satirical News: Namco-Bandai Plans To Release Tekken 7: Philippine Edition! Namco-Bandai's Katsuhiro Harada still hasn't gotten over the incident two years ago concerning an uproar against the character Josie Rizal, the first Filipino Tekken character. As part of the whole "retaliation", Harada reveals that Tekken 7 will have a Philippine Edition featuring new characters. "I really hated the outrage against us when we announced Josie Rizal's creation. 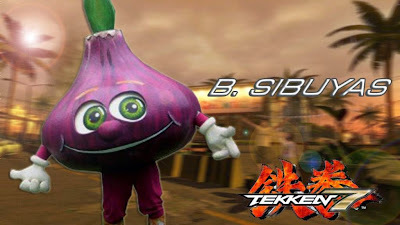 In retaliation, we have decided to create Tekken 7: Philippine Edition." said Harada. Bonus stages for Filipino players include Smoky Mountain, Tondo Slums and Broken MRT Area. New characters revealed for Filipino players are Palpakman, B.S. Man and B. Sibuyas are intended as joke characters. Bonus subplot in Story Mode will include Heihachi Mishima's frustration of not being able to open a Mishima Zaibatsu branch without a local Filipino partner no thanks to economic overprotectionism. "What is revealed above is just a sneak preview. There's more for Filipino players." said Harada. Stay tuned for further developments from Namco-Bandai.